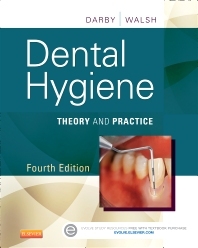 Emphasizing evidence-based research and clinical competencies, Dental Hygiene: Theory and Practice, 4th Edition, provides easy-to-understand coverage of the dental hygienist’s roles and responsibilities in today’s practice. It offers a clear approach to science and theory, a step-by-step guide to core dental hygiene procedures, and realistic scenarios to help you develop skills in decision-making. New chapters and content focus on evidence-based practice, palliative care, professional issues, and the electronic health record. Written by Michele Leonardi Darby, Margaret M. Walsh, and a veritable Who’s Who of expert contributors, Dental Hygiene follows the Human Needs Conceptual Model with a focus on client-centered care that takes the entire person into consideration.